Team projects help engage employees, boost morale, and increase overall collaboration. They also provide an opportunity for businesses to strengthen the community they work and live in. Just as importantly, beyond the benefits to your team and the community, it’s important to not overlook the value such an endeavor has directly on the nonprofit. Not only is the nonprofit able to complete tasks they otherwise wouldn’t have the resources to accomplish, but impactful team projects increase efficiency, effectiveness, and reach for years to come. How can you measure the impact of your project? Start with the Outputs: In addition to reporting the number of volunteers and volunteer hours, you can also calculate what was addressed during this project. You can even equate the number of volunteer hours to a dollar value. Right now, the Independent Sector calculates the value of a volunteer at $23.56 per hour. Share Your Insights: While you were helping the nonprofit, did you have suggestions for increasing efficiency? Is there a way for the nonprofit to use fewer resources – such as man hours or materials – in delivering its services? Determine the Direct Impact: Did helping the nonprofit increase their effectiveness and success rate of the services it provides? Example: For a nonprofit fighting homelessness, what was the percentage of homeless people served that ended up sustainably housed. And of course, you never have to do any of this alone. 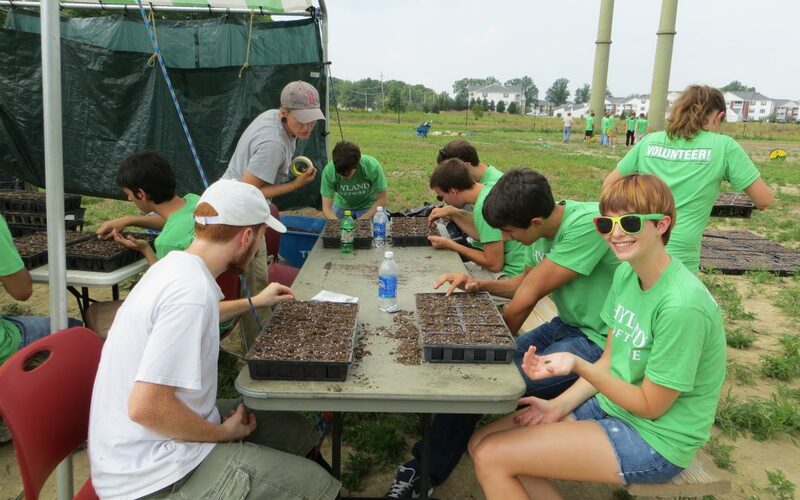 While the task of jump starting an Employee Volunteer Project can seem overwhelming. There are plenty of resources available to guide you along the way. For more information, contact Heather Englander at henglander@bvuvolunteers.org or 216-736-7711 to learn about a customized team volunteer opportunity for your business. Whether it’s 5 or 500 employees, BVU has you covered.